Through the first three seasons of Ottawa REDBLACKS football in Ottawa, RNation has been there every step of the way. As a thank you for that unwavering support, the REDBLACKS players, coaches and cheerleaders spent more than 3,800 hours giving back to the Ottawa-Gatineau community in 2017. In all, OSEG teams including the REDBLACKS, 67’s and Fury FC delivered over 8200 hours of community service at various charitable events, minor sports, school visits and more. 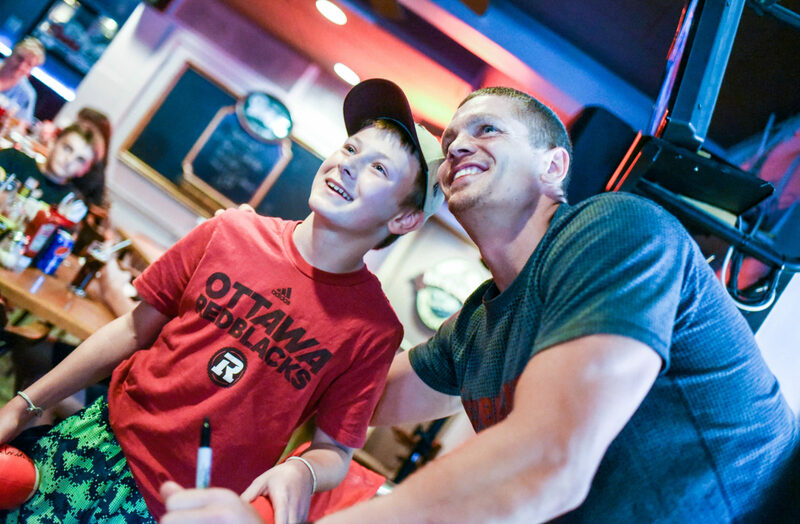 Despite a schedule packed with practices, games and other work that goes along with being a pro athlete, the REDBLACKS were always keen to go out of their way, whether it’s to put a smile on someone’s weary face at a local hospital or giving football tips to excited kids at minor league and high school football camps, the REDBLACKS were there. OSEG and the REDBLACKS are honoured to have been able to contribute to the community and are looking forward to do the same and more in 2018.